In part one of this blog series I discussed the role that technology will play at the International Paris Air Show. But now for part two, I want to turn to another major area for the interiors segment at Le Bourget: the turbulence in the aftermarket and the rising challenge from the East. As the demand for data grows, Boeing and Airbus are moving away from the pure OEM play to become systems integrators and service providers. This is no more apparent than in the aftermarket as they look to grasp more control of this high profit margin area. This battle represents a major shift for the aerospace industry and is being played out in the interiors segment in dramatic fashion, the implications of which are rippling their way through the supply chain. Boeing’s recent announcement and closer ties with seat manufacturer, LIFT by EnCore to deliver the Tourist Class seat, is a prime example. This partnership was particularly interesting as it was reportedly born out of frustration with existing big players in the market, and the Tier 1’s inability to keep pace with the huge demand of growing aircraft deliveries. Outside of Boeing and Airbus, another prime example is the recent acquisition by Rockwell Collins of aircraft cabin interior products and services manufacturer, B/E Aerospace, for US$8.6 billion (including debt assumed). The move continues to diversify the company’s portfolio into the aftermarket from its traditional OEM play. So how will this play out in Paris and thereafter? We could see several acquisitions and partnerships like this announced, and we could also see an increase in the number of deals conducted on service models based on leasing. While such models are not a new concept, they have proliferated widely throughout the industry in recent years. Their popularity lies in the fact that they benefit both parties. OEMs can realize more of their profit upfront while airlines receive a cheaper deal over the lifecycle of the product and a more predictable ongoing cost structure. As industry deals with emerging, disruptive business strategies  including new airlines running lease-only aircraft procurement models  contracts like this will soon be the default for all, and will likely make up 60-70% of the deals we’ll see over the next year. Cabin interiors continue to be pinch points disrupting the delivery of programs, including the likes of the A350 and A321neo. Providers further down the supply chain may find their position under threat as OEMs look to step in and get deliveries back on track. Equally, the single-minded focus on deliver volumes can stifle innovation and interiors manufactures need to ensure that they continue to stay ahead of the curve on product development as well. The balance is one that will be hard to juggle. One of the most interesting areas to watch at Paris will be the activities and announcements coming from the Chinese commercial aerospace industry. As one of the fastest-growing markets, China is starting to get a greater foothold in the industry, and USA and European leaders might start looking over their shoulder. With new platforms like the C919 set to launch it will be fascinating to see how they enter the market. Could we see a surprise deal of service offering, looking to undercut the established players? For China, the demand lies in newer Asian and African markets such as Indonesia and Nigeria. But the true threat they pose to the US and European establishment lies not in the platforms themselves, but rather in the delivery models by which they are sold. With aggressive pricing and by leveraging their large cash surplus to upend current leasing models, new models could transform how we buy and sell aircraft. It will also be interesting to watch their acquisition strategies. We’ve seen Chinese companies acquiring European businesses to get a foothold in the interiors segment  Thompson Aero Seating being the latest example  and Le Bourget could see more activity from them. Prospective interiors targets will need to have their wits about them. That said, you’ll need to keep you ears to the ground as these deals may not be widely publicized. 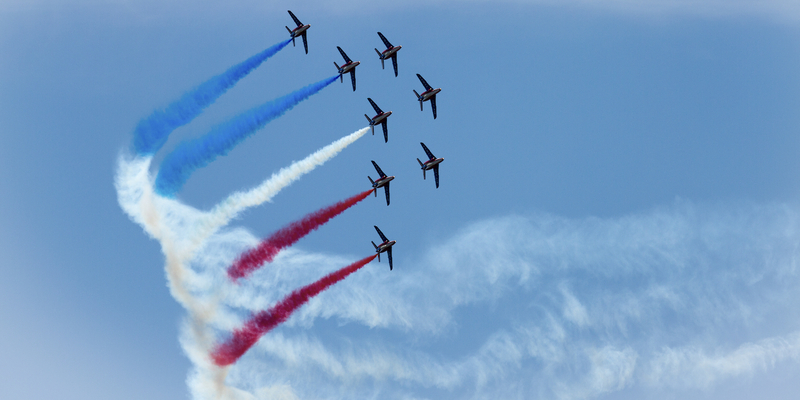 OEMs and Tier 1s are making significant moves diversifying their operations across design, manufacturing and the aftermarket, and this year’s International Paris Air Show promises to be yet another dynamic spectacle. It will be fascinating to see how these developments play out at Le Bourget and if new markets and technologies continue to upset the status quo.